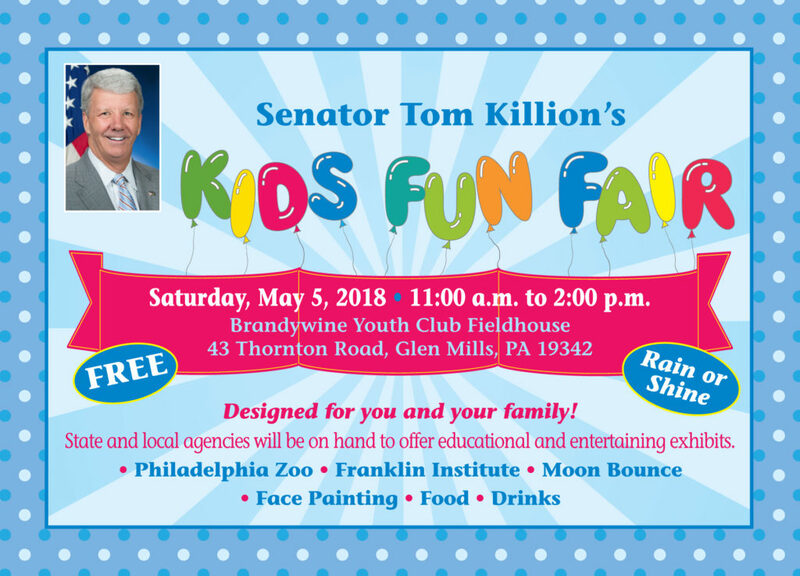 This year’s Kids Fun Fair will feature dozens of outstanding state, county, local and non-profit exhibitors. This event is free and open to the public, will have indoor and outdoor exhibits and will be held rain or shine. Lots of information will be available that families will find useful. I hope you are able to attend. 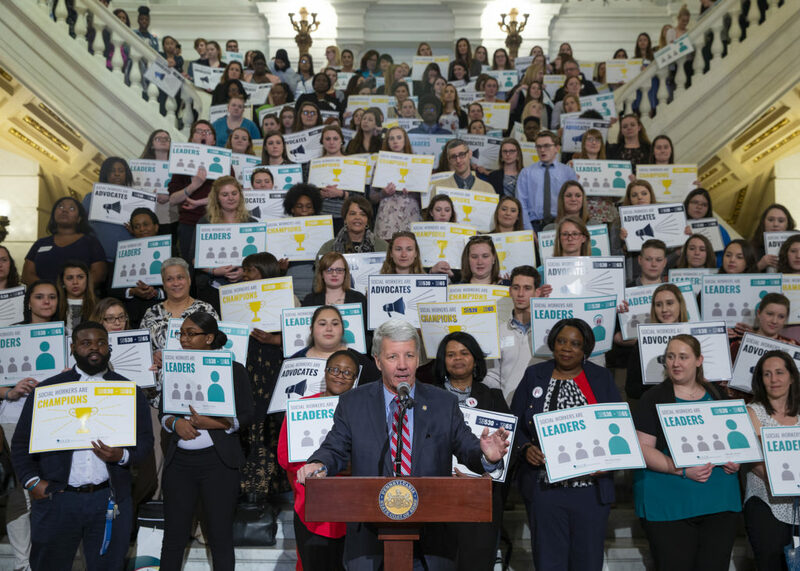 On Monday, I spoke at the National Association of Social Workers (NASW)-PA Chapter’s rally in the Main Capitol Rotunda in support of my Senate Bill 530, legislation that would update the licensure requirements and scope of practice for clinical social work, marriage and family therapists, and professional counselors. This bill has been a priority of the Association for almost a decade. It will bring Pennsylvania up to national standards by adding practice protection and diagnosis for clinical social work; currently, 48 states have similar practice protection. It will also ensure a level playing field for all three professionals licensed under Act 136 of 1998, the Social Workers, Marriage and Family Therapists and Professional Counselors Act. The goal of the bill remains to provide better treatment of individuals who need the services of a professional; to clarify who may provide these services; and to define who may call themselves a licensed professional in order to improve consumer protection in PA for persons needing those services. Last year, Senate Bill 530 was unanimously approved by the Senate Consumer Protection & Professional Licensure Committee and the Senate Appropriations Committee; it was approved by the full Senate by a vote of 46-3. On March 18, 2018, the bill was unanimously approved by the House Professional Licensure Committee. It is now before the full House of Representatives for consideration; and I am hopeful they schedule the bill for consideration in the upcoming weeks. You can view me speaking to social workers about my bill here. This week I voted in favor of a package of bills that will provide additional regulatory oversight of pipelines in Pennsylvania. I am a member of the Senate Consumer Protection and Professional Licensure Committee, which considered three pipeline bills on Tuesday. The bills are all sponsored by Senator Andy Dinniman, and I am a co-sponsor of the bills. 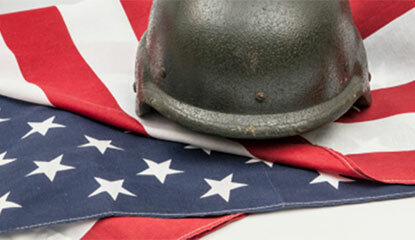 Senate Bill 835 – Provides new regulations for land agents working on behalf of the pipeline industry. Senate Bill 930 – Requires coordination between pipeline companies and county emergency management personnel to identify high impact areas for potential leaks and the development of emergency response procedures. Senate Bill 931 – Requires emergency shutoff valves for pipelines in highly populated areas to protect the public from leaks. With this week’s votes we took an important step to protect families from the effects of hazardous pipeline leaks if they occur. I am proud to be a co-sponsor of these commonsense bills and to have helped move them out of committee. The full Senate should consider this legislation and other proposals that enhance pipeline safety across the state. On Tuesday, the Senate unanimously approved my Senate Bill 627, which would amend the Tax Reform Code, further defining taxable income as it relates to the corporate net income tax with regard to the apportionment of income for corporations transacting business in more than one state. This bill has been a priority of United Parcel Service (UPS), a global leader in logistics and delivery services, because current law puts UPS at a competitive disadvantage in PA. My bill is a simple, common-sense approach to remedying this issue. The PA Chamber of Business and Industry supports this bill as well. UPS is a very important corporate citizen and an employer of nearly 20,000 Pennsylvanians, and is the 3rd largest employer in the Commonwealth. In PA, UPS has over 200 facilities and nearly 2,000 retirees living in the Commonwealth. In the 9th Senatorial District, there are 460 employees, 61 retirees, and 7 facilities which include small package, UPS freight and UPS stores. I am hopeful this will provide a level-playing field for UPS; who has an important presence in the 9th District, southeastern Pennsylvania; and our entire Commonwealth. Senate Bill 627 now goes to the House for consideration. I am a co-sponsor and I support Senate Bill 1142, introduced on Friday, April 20, that would establish a Safe2Say Program for anonymous reporting of potential threats in schools. Specifically, this Safe2Say Program would provide for methods of anonymous reporting concerning unsafe, potentially harmful, dangerous, violent or criminal activities in schools or the threat of the activities. The program is modeled after the Safe2Tell program that was created in Colorado in 1999 after the Columbine tragedy. to develop education materials and promote program awareness to participating school districts. My understanding is the program will cover emergency and non-emergency reports; and anyone can utilize the reporting mechanism. Senate Bill 1142 is currently in the Senate Education Committee. 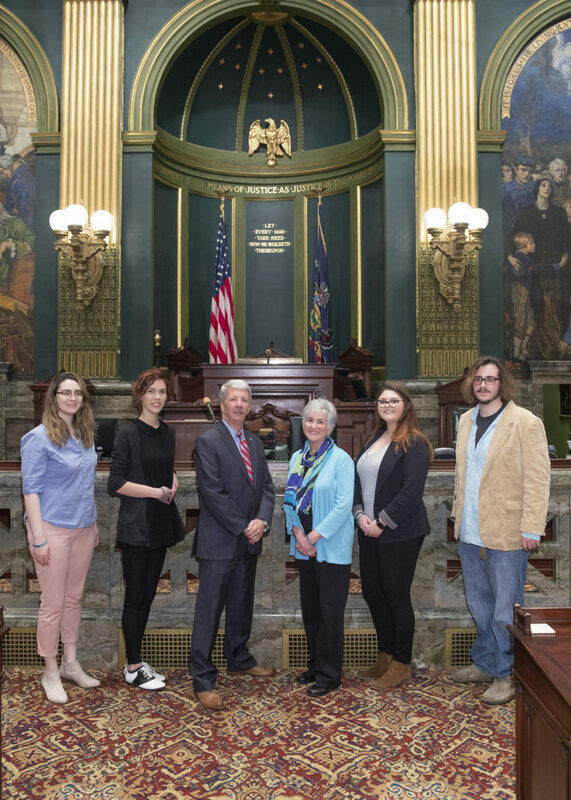 Prior to Session on Monday, I enjoyed meeting with students and Kathy Schank, MSS, LCSW, Assistant Professor of Behavioral Science at Delaware County Community College, who were in Harrisburg as part of NASW-PA’s advocacy day. 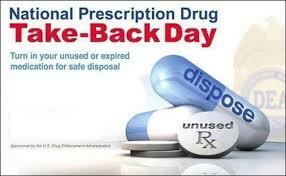 Locations to safely dispose of unused drugs are listed here.